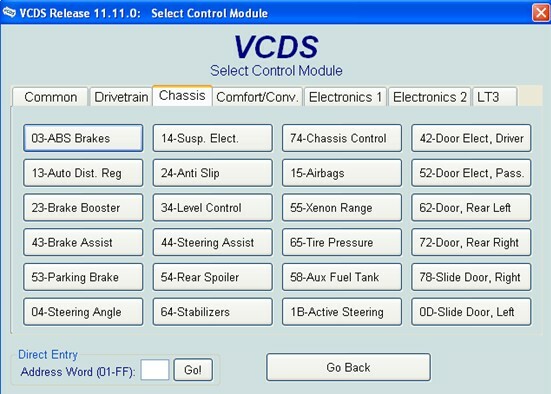 Newest Update VAG COM 11.11 is the first affordable tool with any support at all for VW Crafter vans, and of course compatibility with all the latest 2012 model VW/Audi Group passenger cars. 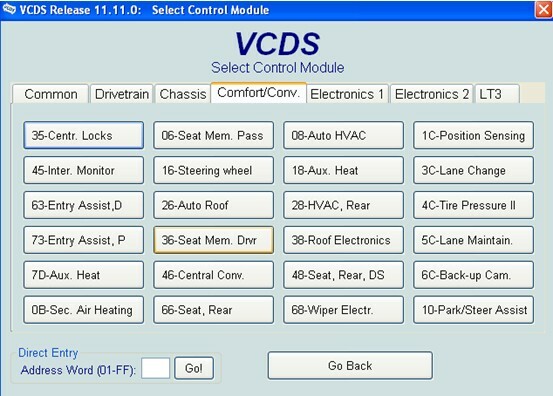 VAG COM11.11 is fully compatible with all VW, Audi, Seat and Skoda models through the current model year, including models using a direct CAN connection for diagnostics. 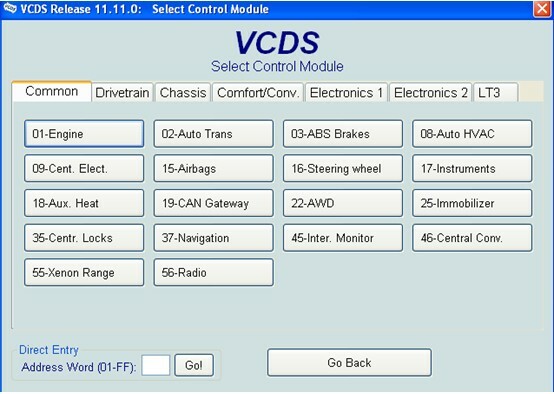 1.Includes partial support for VW Crafter vans. 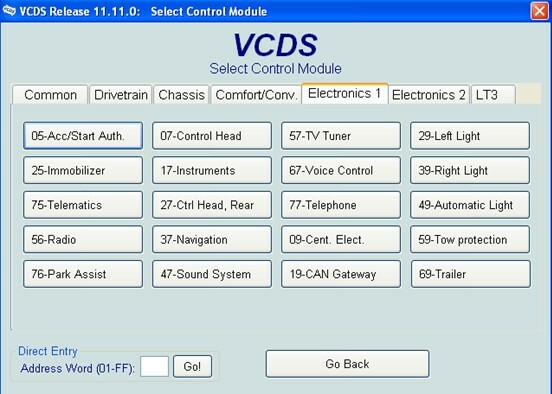 Communications with all control modules; functions supported: Control Module ID and Advanced ID, Fault Codes (Read and Clear), Supported Codes, Security Access, and Adaptation. 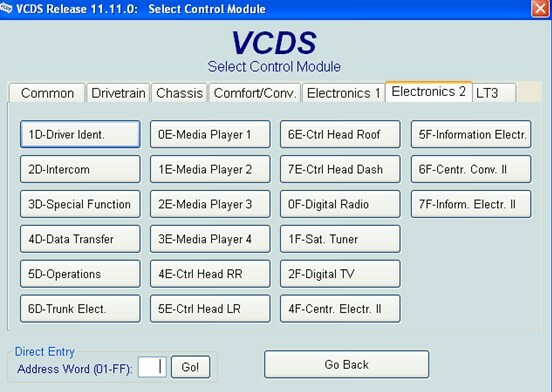 Other functions such as Measuring Values, Output Tests, and Basic Settings will be added in future versions. 2.New, more universal Airbag Coding Assistant. 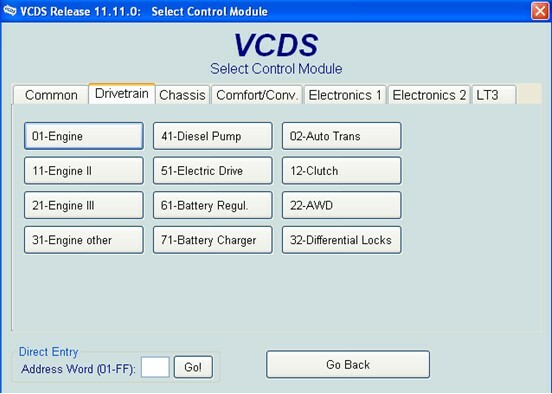 6.Re-factored DTC routines which interpret DTC data, including enhanced interpretation of status byte for DTCs in UDS modules. 9.New version of LCode. Thanks to Niels in Denmark!. 10.Revised and expanded Label Files. Thanks to Sebastian! 11.Many other small fixes and improvements, as well as everything which was introduced in Beta Versions 11.2 - 11.10. A computer running Microsoft Windows. A Laptop, Netbook or Tablet computer is best, but a desktop PC can also be used. 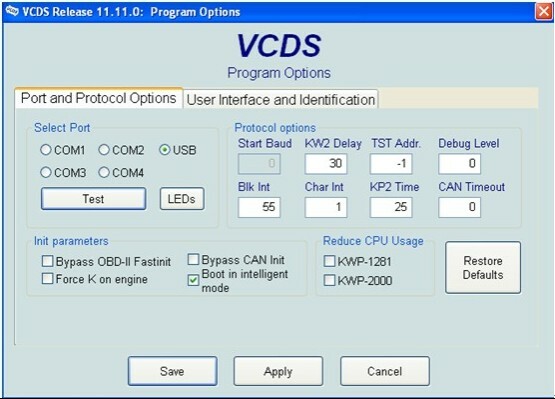 VAG COM11.11 diagnostic cable works with Windows 2000, XP, Vista, and both 32-bit and 64-bit). 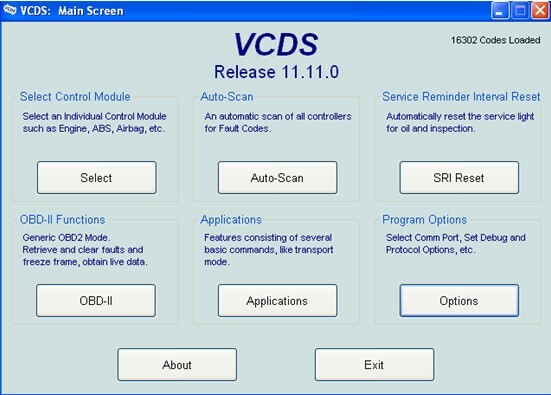 VCDS is a software package for Windows that emulates the functions of the dealers' very expensive proprietary scan tools. I received the VAGCOM 11.11 cable item B126 but the software on the disc won't load, I think the disc got damaged in shipping. Can you give me a link to where I can download a copy of the program for windows.